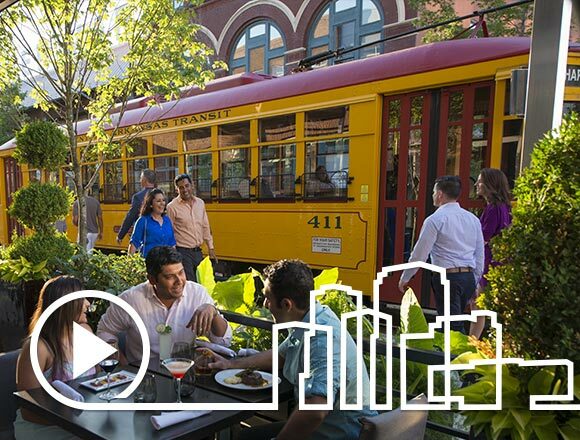 Through leadership, partnership, and initiative, the Downtown Little Rock Partnership strives every day to grow and enhance Little Rock’s core and make our downtown one where someone can not only prosper and succeed, but live fully and live well. Our community has a lot going for it. From the Capitol to East Village and from Roosevelt to the Arkansas River, our dynamism is our greatest strength. And it only fuels the passions of those looking for wealth, for excitement, or for inspiration. We invite you to join our community, even if only for a short trip! From modern condo living, to the historic structures of yesteryear, we have it all right in our Downtown. We have seen a renaissance in recent years downtown, with older homes being restored and renovated by families who want to live close to where they work. Alongside all of this restoration work, we have seen condo living take off, with downtown now sporting several successful condo projects for those who want to live in a vertical environment without the added concerns of a single family home. Below you can take a digital tour and learn more about the different neighborhoods we have downtown, and who knows, maybe you will choose to make one of these your next home! See what our downtown has to offer. Downtown Little Rock is built for business. Downtown Little Rock Partnership announced a new public art initiative: Between the Bricks, a project that will add vinyl reproductions of original artwork onto alley-facing doors throughout the downtown area. Our Public Spaces committee is looking to install a brand new mural near Main and Capitol in the heart of downtown. 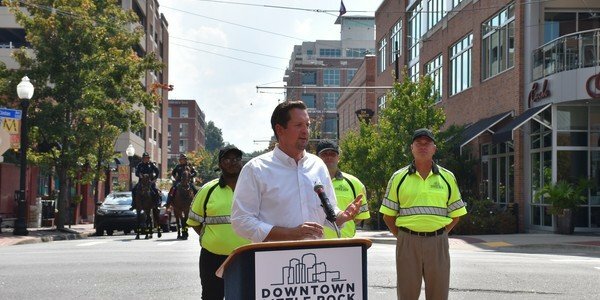 Downtown Little Rock Partnership Executive Director Gabe Holmstrom announced the expansion of the Ambassador Program to the River Market neighborhood. Downtown Little Rock Partnership is celebrating 35 years, and we want you to help us commemorate the occasion at our 2019 Annual Meeting!